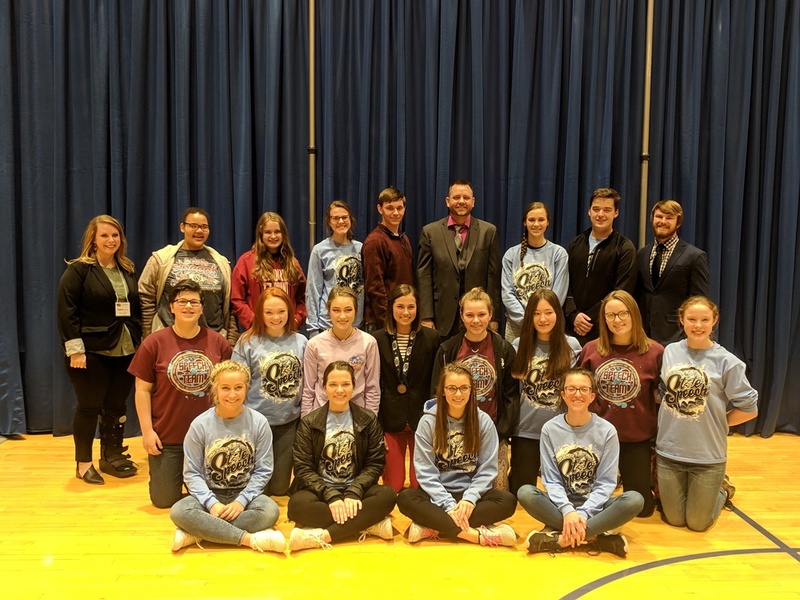 On Saturday, March 16 the Chanticleers made their way to North Platte where they competed in the C1-5 District Speech Contest. There were 8 teams competing (Ord, Centura, Ravenna, Kearney Catholic, Grand Island Central Catholic, Gibbon, Southern Valley, Wood River) and each team can send two competitors in each category. Out of Ord’s 18 entries, 15 of them made it to finals giving them the District title! “We knew we were going to have to compete well to secure the win today and overall our kids did just that” said Coach Ben Lansman. “We had some great surprises on the day, as well as some disappointments. But we are very proud of the season they had.” Ord scored 186 points on the day and runner up Centura had 170 with Ravenna in third scoring 104 points. 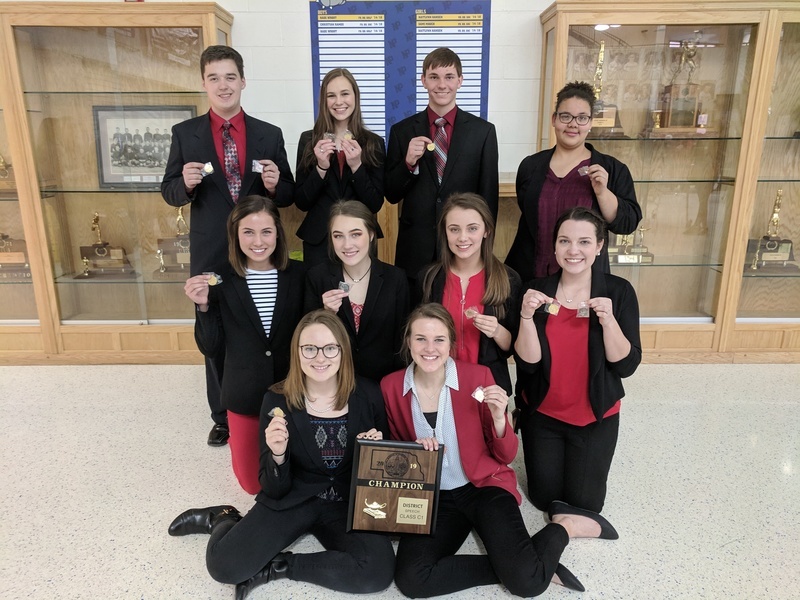 The results for the day were…Duet Acting: Katie Magiera and Abby Jacobs 3rd (State Qualifier), Halle Jacobs and Addie Sich 5th; Entertainment: Maya Brown 3rd (State Qualifier), Ashley Bruha 7th; Extemporaneous: Cooper Sheets 3rd (State Qualifier), Ashley Bruha; Informative: Katie Fischer 2nd (State Qualifier); O.I.D. 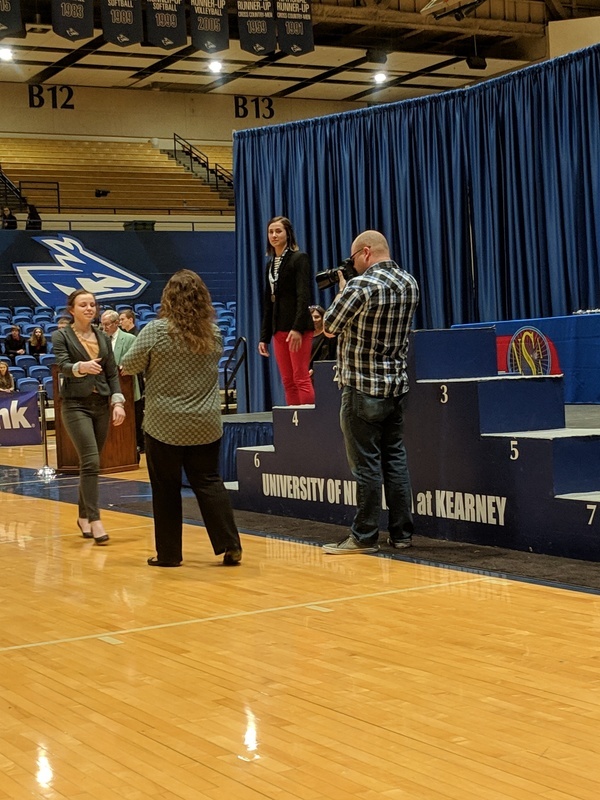 : “Spaceballs” Katharine Wadas, Trevor Vancura, Cooper Sheets, Katie Magiera, Kora Severance 1st (State Qualifier), “Sister Cities” Katie Fischer, Richele Masin, Addie Sich, Abby Jacobs; Humorous: Kora Severance 5th, Maya Brown 6th; Poetry: Richele Masin 1st (State Qualifier), Mykala Lytle 7th; Serious: Katharine Wadas 3rd (State Qualifer); Mykala Lytle 6th; Persuasive: Halle Jacobs 1st (State Qualifier), Leah Westberg 7th. The coaches could not be more proud of our team and excited for those who were lucky enough to move on to the state meet. 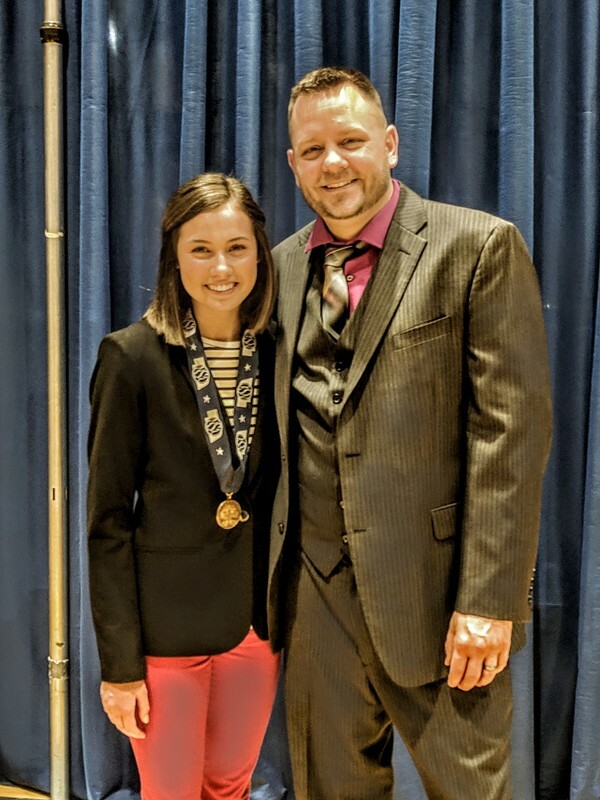 So much time and preparation goes into getting ready for one meet – which is what makes it so tough to have one district judge tell you they preferred something different.